Courses are aimed at primary and secondary pupils giving them a real taste of adventure and challenge. Activities take place outdoors in the Snowdonia National Park, in inspirational settings. Pupils will work together in teams, learning about themselves, others and the environment. Our experienced, passionate and qualified instructors will tailor activities to provide a unique, personalised programme. All specialist equipment and clothing is provided. Friday: Arrival 6.30pm. Welcome to Oaklands followed by The Dingle Challenge! Sunday: Breakfast 8am. 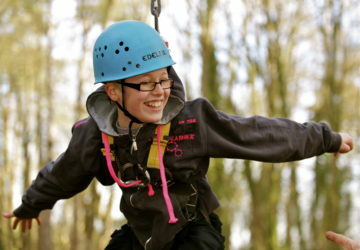 Half day activity, choice of: climbing, local adventure walk, gorge walking, orienteering, problem solving activities. Depart at 3pm after a packed lunch.